As the world around me grows ever more entrenched in the horrors of climate change, political repression, and capitalist growth, my fear grows alongside it. Every day I hear more about the terrors that oppressed communities are facing. With each new setback to civil rights, I wonder what will be required of all of us to hold back the oncoming wave of repression. And yet, despite what nightmares await me in the coming years, my spirit is far from broken. Instead, I find myself emboldened. My creative spirit feels compelled to write a better world into existence, if only to hold onto the hope that we can imagine something kinder than the world we have now. 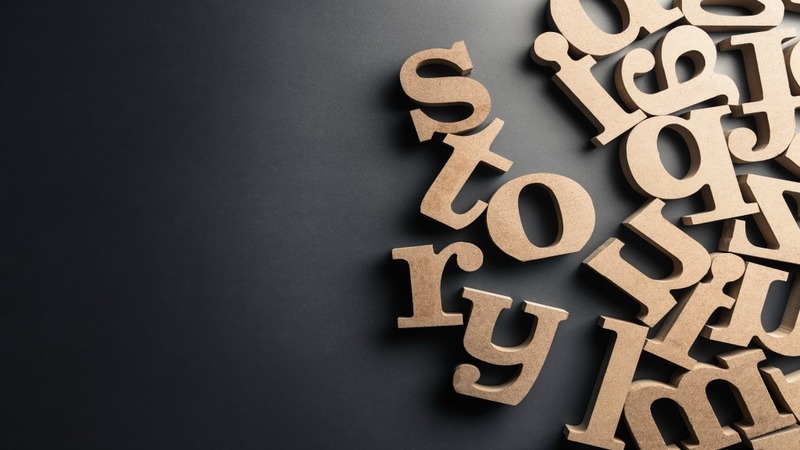 The power of storytelling is a complex one to reflect on at this point in time. On the surface, there couldn’t be anything more frivolous than to tell a story that only a few people read or share with others. I have dedicated countless hours to crafting stories told through poetry that I’ve worried ultimately provide nothing but a passing comfort to people like me. With all that happens in our everyday lives, sharing stories, even relatable ones, doesn’t feel like much when the weight of the world’s horrors feels overwhelming. But then, I recall the tales of struggle and triumph shared by the variety of disability justice activists who have inspired me throughout the years. In their stories, I suddenly felt seen, heard, and recognized in ways I never could have imagined in a world that so often greeted me with cruelty. Rather than feel apologetic for living a life in which madness was an ever present part of my reality, I could instead feel empowered. I could feel as though my way of being in the world had purpose, and someone like me could be part of making the world a better place. Rather than feel as though I was merely a spectator in the fight to achieve freedom for oppressed communities, I could be part of those leading the charge for justice. All of this simply from engaging in the power of stories and storytelling. To be clear, I am not saying that everything that needs to be changed about the world can be boiled down to simply writing or telling a story. There will always be a need for people on the frontline advocating and fighting for rights that are becoming increasingly hard to come by. So many of the rights disabled folk are able to enjoy now come directly from the efforts of those who put their bodies on the line for justice. Direct action will always be needed and should never be glossed over for the sake of only using rhetoric. However, the power of a story rests in its ability to shape what we believe is possible to do, have, and achieve in our lives. Stories condition us over time with messages telling us who and what are worthy to exist in the world. In terms of disability, this can often mean creating an environment where all of our tales about disabled people become condescending inspiration anecdotes at best and lessons in pitying the helpless at worst. More unsettling, it can mean that our society ends up viewing disabled people as having lives that are less-than and not worth living. And yet, the fact that these stories do not have to stay this way and are always open to change suggests there is power to imagining worlds where disabled people are thought of differently. There is potential in imagining a world where not only do disabled people flourish but their ways of being give us a glimpse of what is possible for everyone. If my reaction to the stories of disability justice activists like Leah Lakshmi and Mia Mingus says anything, it is that the revolution could always use dreamers as well as people on the frontlines. Dreamers who not only hope for new worlds to happen but put their time and effort charting out what those new worlds where disabled folk are centered can and should look like. Those kinds of stories are invaluable, giving us room to process the grief that the world has made us endure and find hope in connecting with others we never knew existed. They give us room to reject the toxic stories ableism has fed us and imagine a more just world, if only for a brief moment. In the end, writing a story may not do much against repression other than offer a glimmer of hope in a world that seems ready to snuff you out. But for disabled folk like me, hope is worth quite a lot in this day and age. Sometimes, a story is just what you need to weather the storm of the present to reach the beautiful, disabled future awaiting us all.